As an experienced supplier, we offer quality oil seal and related elastomer material items to customers worldwide. Our product is eco-friendly, and it has good chemical resistance to heat/low temperature as well as ozone and weathering. Moreover, it is highly-resistant to water, which make our oil seal a perfect item for preventing leakage. MFC warrants that all products sold shall be free from defects in material and workmanship for a period of one year from date of shipment. All of the compounds of the oil seal are available for NBR, FKM, PA and SIICONE. Our R&D team has professional technique to offer standard or special lip and case design for the customers. At our option, products like oil seal or any other items prove unable to meet the sealing and design capabilities for which it was produced shall be replaced free of charge including transportation charges. All other warranties, expressed or implied, including warranty of merchantability, are hereby disclaimed. We shall not be responsible for consequential damages on the product. The MFC product line is not limited to listed in the standard lip and case design. 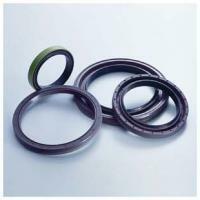 We are able to provide virtually any size and type shaft seal. The sealing lip’s performance can be improved by the use of a hydrodynamics aid or helix. The helix is engraved on the primary lip and caused a pumping action to push any medium back towards the fluid side. There are designs available for bidirectional, lift, and right hand shaft rotations as below.